There is no way around it: Colonoscopies are important. Even if you are not a Crohnie, don’t smoke, don’t have a family history of colon cancers, if you are older than fifty, you should have one every five years. A 2013 study in the New England Journal of Medicine found out that you can lower your risk of developing colo-rectal cancer by 40% through colonoscopies. How? Cancer doesn’t come overnight, and pre-cancerous cells or polyps can be found via colonoscopies. With cancers, prevention is essential, and I wish all the pink ribbon people would get that. But I am getting off topic. For Crohn’s and Colitis, colonoscopies will show where and how your flare manifests, which then in turn will affect the treatment. Now, I definitely can imagine better past times than prepping for colonoscopies and having them, but I see the necessity to have them. They save lives. GET A COLONOSCOPY EVERYBODY! Or, at least, talk to your doctor about it. Here are my favorite prep techniques, that may make life a little easier. Your doctor’s office will provide you with a little guide as on what to do. Study it and then do your own research. Communicate with your doctor. Don’t be afraid to ask questions, seem contrary or a so-called “difficult patient.” For example, in the past, I was told to drink Miralax powder with Gatorade. I don’t drink soda out of principle. I told them, and guess what- it was only recommended because they don’t want patients to lose too many electrolytes during prep. When I asked for alternatives, they were more than happy to provide them for me. eat lightly. A lot of people treat the days before the prep as a “last days on earth”, gorging themselves on their favorite foods. You’re not doing yourself a favor here. Or put more crudely: What goes in must come out. And it really must come out. If you don’t empty your bowels properly, the doctors may not be able to see things properly. They are looking for lesions as tiny as three millimeters. So even if the guide from your doctor says that you can “eat normally” (whatever that may mean) until the day before the procedure, do yourself a favor and start eating lightly early. Stock up on what you need. 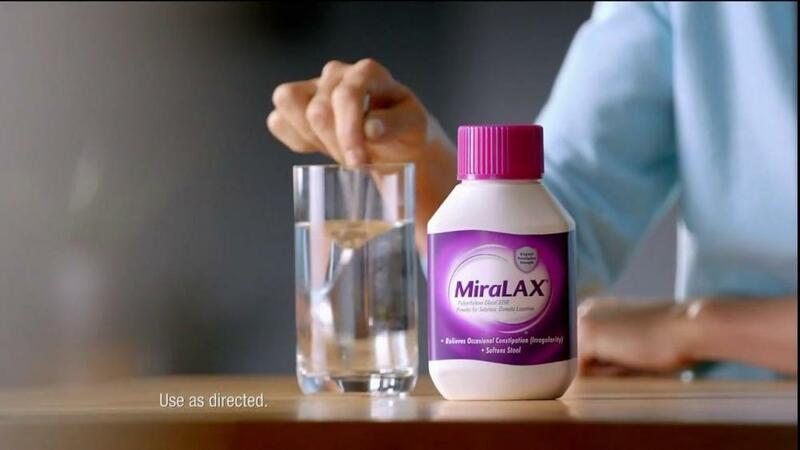 Don’t go and get your colonoscopy prep the day before you prep, only to see that CVS is out of Miralax. Yes, this happens, that’s why I mention it. Ask any nurse at a gastroenterologist’s office how many desperate calls they get. Clean your bathroom. You’ll spend some time there, so might as well have it nice. The two most common forms of prep are Miralax and Golytly, with the latter being a brand name for the former. There are others, but they are not popular anymore, because they often can cause electrolye imbalance and kidney problems. (This would be something to ask your doctor about!). Now, here is where the Gatorade comes in- apparently it makes drinking the amount easier. I usually mix half of the Miralax into broths that I drink during the day, and the other half into white grape juice. That way I have savory and sweet, and can have whichever I want. A note on broths: I love love love to make my own broths (will post recipes soon). If you don’t, get beef or fish broths, they have the best (and by that I mean strongest) taste. It will be on your doctor’s handout, but don’t drink purple, red or orange drinks- the food coloring can easily be mistaken for blood in your colon. Popsicles- my best friends! I particularly love the brand “outshine”, and this shows I am a West Coast Hippy-dippy, because they have no artificial coloring or sweetening. Don’t get the berry ones (aside from the color they have seeds, and those suckers can hide in colon folds, they are hard to get out). I also drink a lot of Mint and/or Fennel tea. They are very soothing for a growly stomach. Baby wipes for your patootie. Get the expensive ones with aloe. If you really have time order these. A practical note: don’t flush them. Depending on the plumbing in your house, the baby wipes cling to the pipes and clog them. Last thing you need on the day of your prep is a non-functioning toilet. Entertainment: I love audiobooks, podcasts and netflix. Make sure all batteries are charged, because you may be in that bathroom for a while. Look at your poop. When it’s transparent and watery and has been for a few rounds, you’re ready. The recommended amount on the doctor’s handout is a “one fits all”. Now, I am five feet and a hundred pounds, and if I drink the same amount of prep as a 200 pound man, I end up with heart arrhythmia from dehydration (I am speaking from experience). TALK TO YOUR DOCTOR! I get nervous. After all these colonoscopies, I get nervous and anxious. Usually, I ask to get the very first spot on the schedule, so that I am still tired and sleepy. If that isn’t the case, I take a diazepam about 1.5 hours before, with a tiny sip of water. If you don’t feel comfortable, Kava Kava is the herbal version. Do not do this unless you know how you react to either and of course, LET YOUR DOCTOR KNOW. But also, don’t be afraid to ask for something, that is what it is there for. Most doctors will do whatever is in their power to make this as smooth of an experience (pardon the pun) for you. It goes without saying, have someone drive you there and pick you up. I usually don’t wear any jewellery, contact lenses etc- you have to wear a fashionable hospital gown anyways. They usually tell you that you can eat what you want, and again, plenty of people feel the need to stuff themselves on something big. Trust me, those beans or lentils are not a great idea. Be reasonable and start with small portions. Going to the bathroom the first time may be a little painful, the ring of fire -you know what I mean. I have lidocaine ointment at home, but shea butter, or preparation H will do it. Take it slow- you may be dehydrated, may be tired. Or you may be ready for your next meal. While we are on the topic, here are fellow bloggers who have also written about the topic (cause great minds think alike). I thought I linked to yours at the end! Glad you’re fine!! Wow – I wish I had read this before I had my first colonoscopy several years ago! It all turned out fine, but I had no idea about some of these tips. Thanks for sharing! Great advice… so crazy because two people in my life recently had to get them and were telling me their stories. I feel much more prepared for aging now! I will likely have to get one after I turn 35 rather than waiting til 50 since colon cancer runs in my family. So, this is super handy. Glad to hear it, and best of luck! Best of luck! Early detection is the best prevention!! I love bossypants! Good choice!